I’m extremely busy today, and I have to do a lot of homework. Tomorrow I’m going on a field trip, so I already have a lot to catch up on for all of my classes. This semester is hard compared to next semester. I’m also really sick right now. I’ll try to post days 5 and 6 of Mystic Messenger tomorrow, but I might have to post days 5, 6, and 7 on Friday after school because of my busy schedule. It usually takes me an hour to make each Mystic Messenger post. Sorry about the delay. 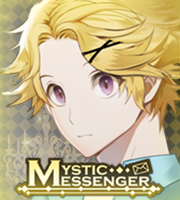 I’ll see you all when I make an actual Mystic Messenger post! Just letting you all know I’m going to be on a hiatus for who knows how long! The reason for this is because I need to focus 100% on my studies, to ensure that I get good grades.